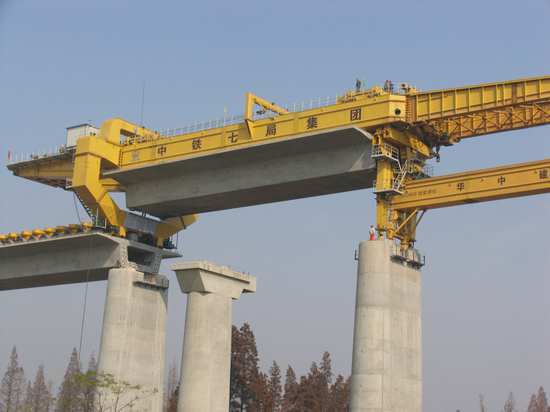 The box type double girder launching gantry is specially designed for highspeed railway. 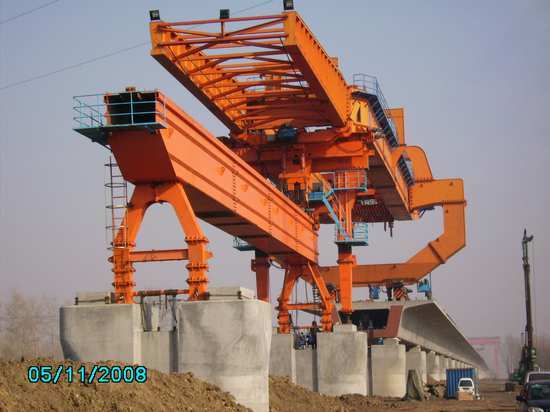 It is mainly used for lifting and installing box type concrete girder in bridge construction for highspeed railway. 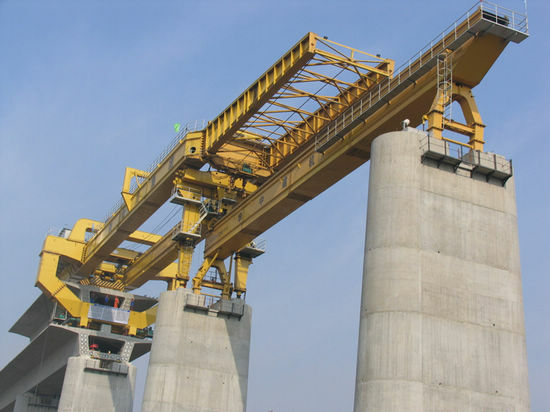 With full span installation method, the launching gantry can lift and install one concrete girder in a single span every one time. 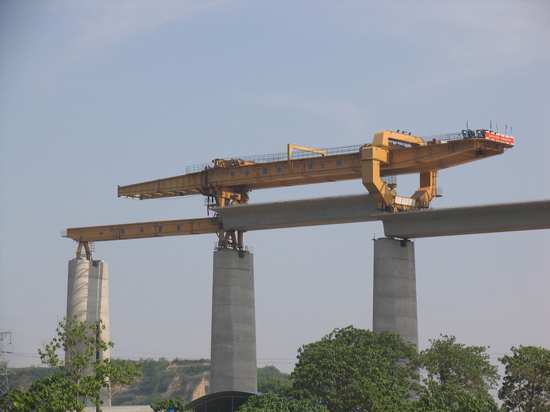 ◆ The launching gantry is a special hoist equipment used for lifting the concrete girder on the high-speed railway construction. 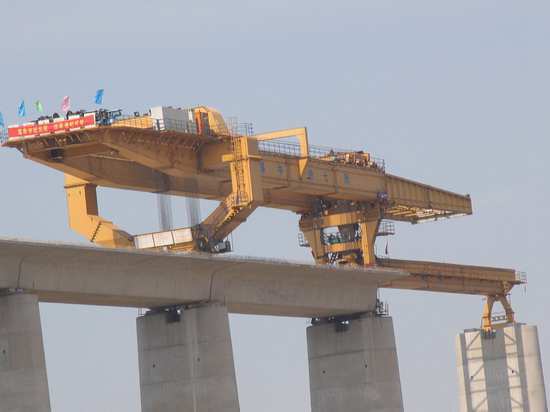 It can lift 900t precast concrete girder. 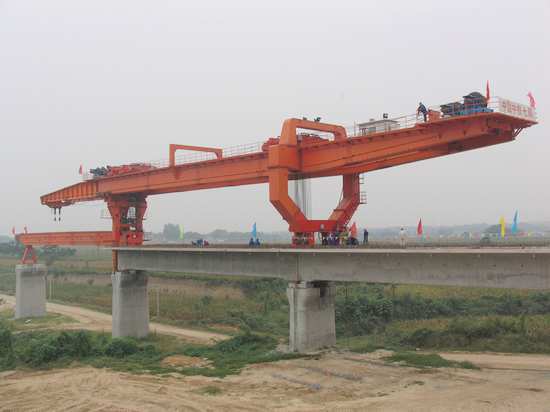 ◆ It is very convenient to accomplish the span-shifting from 32m to 24m when move the legs.